Home Projects How can I set priority of the project? How can I set priority of the project? You can set the priority of the project while creating it. Please refer to the steps below. Click on ‘+Quick links’ and then click on Project. Define the name of the project and other details such as short name, start date, end date etc. 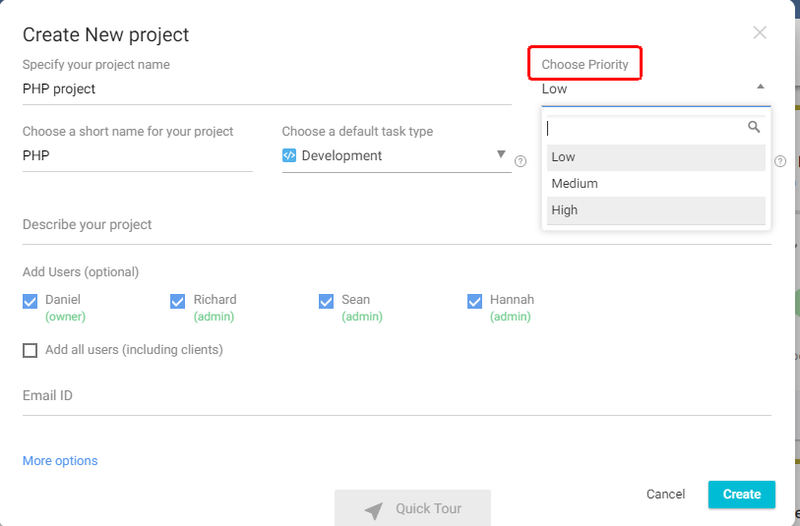 Click on ‘Choose Priority’ to assign the priority level to project.